How well do you treat your car? Do you know all the do’s and don’ts when it comes to your driving? Are you inadvertently hurting your car, causing damage that could end up costing you hundreds of dollars down the line? Most of us would like to think that we are good drivers. After all, we have to be good drivers to survive the traffic in Sydney during peak hours, right? But unbeknown to us, some of our driving habits could be causing trouble, leading to minor or major damage to the car. Are You Guilty of Any of These Bad Driving Habits? When you drive, make sure you don’t commit any of these driving mistakes and your car will thank you for it. If you’re one of those drivers who drives with your foot grazing the brakes, then you’re not doing your car any favours. Constant grazing of the brakes can lead to overheating of the brakes, which could then result in faster wear out of the brake pads and discs. If you are obsessive about keeping your fuel tank filled up, then give yourself a pat in the back. But if you fall into the category of drivers who wait till the very last minute to fill up fuel, then this one is for you. Staying submerged in fuel helps the fuel pumps to remain cool. When you drive around in a close-to-empty tank, you run the risk of the fuel pumps heating up, causing increased wear. Just because your car can pull a lot of weight doesn’t mean it was made to do that. Overloading is another way in which you could be shortening your car’s life span. Constant overloading can cause strain, leading to brake, suspension & drivetrain damage. A lot of old-school drivers have this habit of driving with one hand resting on the gearstick. If you drive a manual transmission car, then driving with your hand on the gearshift can cause friction between the synchroniser and gear, resulting in premature wear of the gear teeth. You can’t avoid having to brake suddenly. No matter how well you drive, if the person driving in front of you makes a mistake, forcing you to stop abruptly, it can’t be helped. But what is in your control is all those other times when you brake forcefully. If you’re nearing a traffic light, instead of waiting till the last possible second to screech on the brakes, gradually apply the brakes to slow down to a roll and then a smooth stop. Frequent, rough braking can speed up the wear of the brake pads. By avoiding these driving mistakes, you will keep your car working better, for longer. You will get better fuel efficiency, a smoother drive & many more years of hassle-free driving from your car. And if you have a car’s already been through too much, then it’s time to replace it with another car & pledge that you will treat it better. Get cash for scrap vehicles and avoid wasting money on repairs. 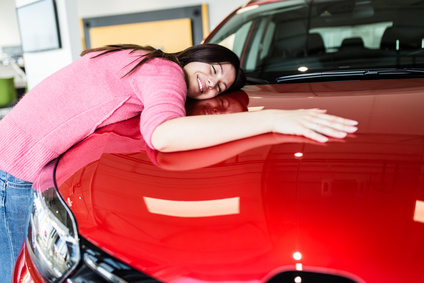 When you treat your car the right way, it will reward you with years of problem-free usage. This article is published by Cash for Cars Melbourne.